Check out the advantages of our server. Drill Room File Server System 7 is a group of programs which are normally loaded on your CAM workstations. An Icon is placed on the Windows desktop. This enables the CAM operator to create, access, edit, and save “Jobs” on your drill room file server computer. The “Jobs” are then immediately available, over the network, to your drilling and fabrication departments, and elsewhere as needed. Note: A “Job” file is a single file into which all the data files needed in drilling, fabrication, and test have been automatically compressed. A “Job” file contains information about the customer, part number, panel lay-up, number/type of tools, comments, and special instructions about how to build the boards. Normally the Job file also includes all drilling, routing, test fixture drilling, and net lists required on the production floor. Drill Room File Server 7 is used to create and store the files needed by the computers connected to your machines on the production floor. It manages the database used by Graphical Drill and Rout System 7 to drill and rout the panels. System 7 provides a good, simple, way to control and store the many thousands of computer files required to build boards in a modern facility. One of the functions of a CAM department is to generate drilling and routing programs from the CAD data provided by the customer (typically Gerber files). Quite often the drill and rout programs are output in “Excellon Format.” They are ASCII text files containing the X and Y coordinates for each hole and other machine codes which tell the printed circuit board drilling machine precisely how and where to drill each and every hole. System 7 enables CAM operators to graphically display the machine language drill and rout programs they create. It enables them to look directly at the “Excellon Format” files produced by their CAM systems. These are the files that are actually sent to the machines – not the CAD format data files they viewed and edited before the outputting the drill and rout programs. By graphically viewing the machine language programs, the CAM operator can be reasonably certain the files they send to production will work correctly – the first time! This can eliminate the need for a human “Programmer” in the drilling department to edit the programs received from the CAM department before they can be run. System 7 assembles and stores all of the information needed to drill and rout panels. This includes the tool data, a description of the job, and any comments or special instructions that are necessary. System 7 provides a comprehensive method for keeping all data files needed on the production floor together in one place on your network file server. System 7 provides a simple, and practically, way to control changes. System 7 minimizes human errors. System 7 allows you to instantly recall any job and be certain you have all the latest program information. “Comments and Special Instructions” provide a way to keep written information with the job. They can supplement or replace “Shop Travelers” and “File Cards” which are often needed in drilling and fabrication. System 7 can be an important part of your quality control system by providing a simple way to document the status and progress of the job through your shop. System 7 maintains a “reference file” that includes every job you have ever run, and allows you to search by Customer, Part Number, and Job Number. If you wish to use other search criteria; that could also be incorporated into the software program. System 7 can be an important tool for Sales, Production Planning, Quality Control, Engineering, and Management. System 7 always “Backs Up” your “Jobs” – automatically. Automatic backup is included in System 7. You can turn it “On” or “Off” as you wish. It works by using one of the computers in the drill room, which is connected to a machine, to monitor the drill room file server. Every time a new job is added to the file server, or an existing job is modified, the computer in the drill room copies the entire “Job” file from the server, over the network, to a special subdirectory on server’s local hard disk drive. The entire process is completely automatic. No one has to do anything special. Yet, when your file server crashes, you have a complete, accurate, copy of every job you have every run (on the network). Because your backup is on a hard disk rather than magnetic tape, you can immediately use the computer to display your jobs and copy the ones you need to floppy disks to keep your shop running. When the Drill Room File Server Computer is repaired, you can use the network to copy all your jobs from the backup computer to the new/repaired, hard disk in the server. Note: We believe you should always use our automatic backup. In addition, you can also copy your jobs to CD’s by installing a CD-Burner in your drill room file server. Because of the importance of your data, we do not recommend you rely on using a CD-Burner in another computer which accesses you “Job” files over the network. Today, there are still speed and reliability problem which you don’t need. Note: Main Menu items can easily be added or removed as needed for your shop. Contact California Software Systems today for more information about Drill Room File Server System 7. Machine operators make fewer mistakes. Machines can be kept loaded and running a higher percentage of the time. Faster and easier to setup machine. Easier to compensate for process problems such as panel expansion/contractions during lamination. Easier to correct mistakes such as partially drilled holes. Easier to implement customer changes such as add/remove holes or change tool sizes. Duplicate and lost files should no longer be a potential problem. When network goes down you don’t scrap jobs. Production can continue without interruption using data stored on hard disk drives of computers connected to your machines. When the network goes down you can still load and run new jobs from either IBM or Excellon format floppy disks. 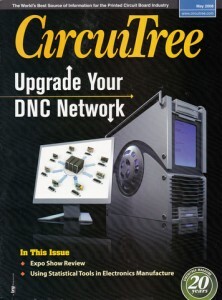 System runs on modern networks from Microsoft, Novell, and others. It is not an archaic, “DNC” system from a single Vendor such as Excellon which is incompatible with the rest of the world. The network hardware is very inexpensive, readily available, and there are thousands of people already trained can setup, use, and maintain your network. One physical network for everything. No need to run separate cables for Drilling, Work-in-Process Tracking, Accounting, etc. All of your software can run over a single set of cables – and still maintain the separation and data security you need. You are not dependent on floppy disks or punched paper tapes in drilling and fabrication. All your data is stored on hard disks and transmitted over your network for maximum speed and reliability. Our Graphical Drill/Rout system is easy for your operators to learn because it works the way they have been taught to run their machines. From the operator’s perspective, the computer can eliminate most of the differences in running machines from different manufacturers. You can easily integrate drills and routers from Excellon, TruDril, Hitachi, PDA, Dynamotion, Wessel, ATI and most other manufacturers in your production process. Lifetime technical support – at no extra charge! For more information on the Drill Room File Server, contact California Software Systems. Please read the message about our new website.